The Department of Environment and the Zoological Society of London are currently conducting research as part of the mountain chicken project here in Montserrat. Dr Steph Jayson from the Zoological Society of London (ZSL) is currently on Montserrat to assist the Department of Environment in collecting invertebrates in order to determine the nutritional content of the diet of wild mountain chickens. The exercise will require the team to be in the forest nightly to capture and secure various insects which form part of the typical diet of a wild mountain chicken. These insects will then be shipped to the UK where they will be analysed. The nutritional content of the wild diet will be compared to that of the diet provided to mountain chickens in the captive breeding populations at ZSL London Zoo and Durrell Wildlife Park to determine if the captive diet is of adequate nutritional value to ensure good health of mountain chickens for future breeding and reintroduction programmes. 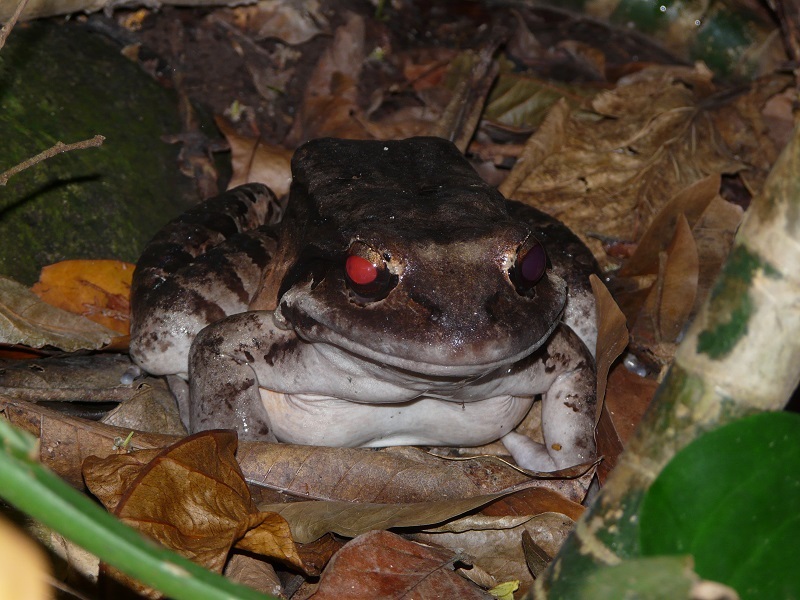 Additionally surveys will be conducted for surviving mountain chickens in the forest whose populations have been impacted by chytrid fungus. There are known surviving male and female frogs on the island and their continued good health is critical for the survival of the species here in Montserrat.